I'm not writing this up yet, just getting the image linked. Miranous is the city in the middle of the Kamathi desert. 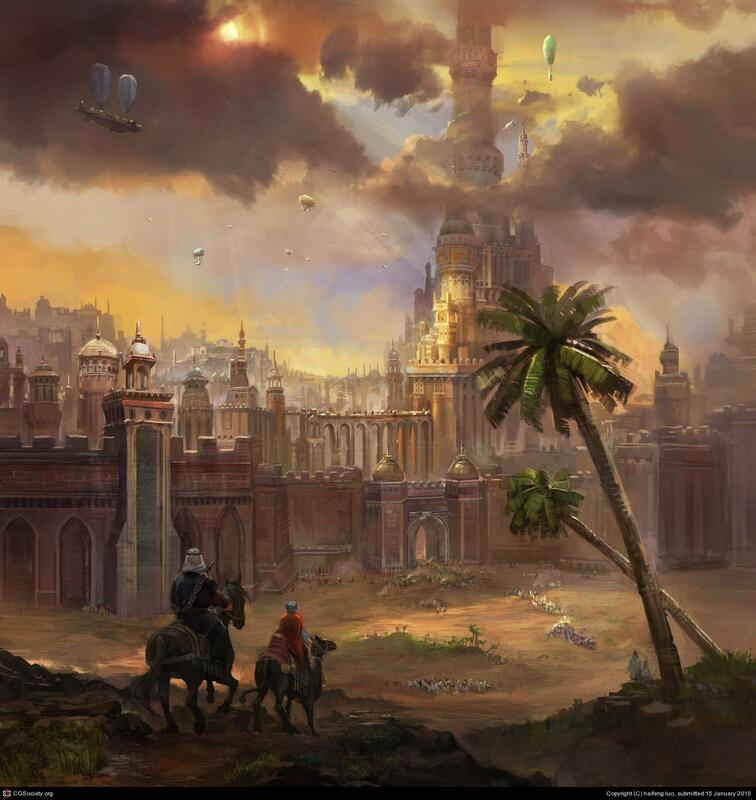 Was the ancient capital of the Genie Empire, Kamath. Is an independent city-state run by the Janni and Suli. Other Genies have embassies to represent their nation, Miranous is a neutral meeting ground for their nobles. Number of non-Janni genies limited by Zulaztar for mystical reasons. An inter-planar center of trade. Only place Zulaztar allows non-mortals to bargain for Wishes. Zulaztar became a deity here. Holy site for his followers.